Penn’s Village once more happily partners with Friends in the City and the Philadelphia City Institute - Free Library to delve further into Philadelphia culture and life. 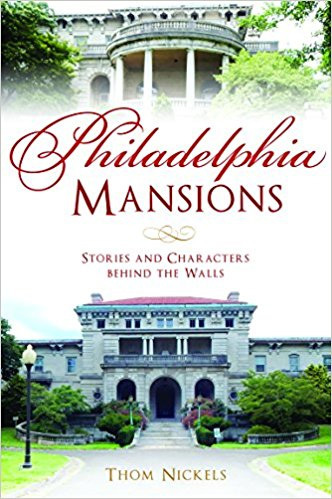 Thom Nickels describes Philadelphia's grand mansions and architectural treasures and the people behind them. Just a few examples, Historic Strawberry Mansion was home to Judge William Lewis, a Patriot who defended colonists accused of treason and was Aaron Burr's defense lawyer. Socialite, millionaire and world-renowned art collector Henry McIlhenny made his home at Rittenhouse Square and left his art collection to the Philadelphia Museum of Art. We will meet in the Philadelphia Institute Branch of the Philadelphia Free Library located at 1905 Locust Street. To register on-line click here. You may also email info@pennsvillage.org or call 215.925.7333. The Library is not handicapped accessible, but they are working on it!